Your back health can have a direct impact on your overall well- being. 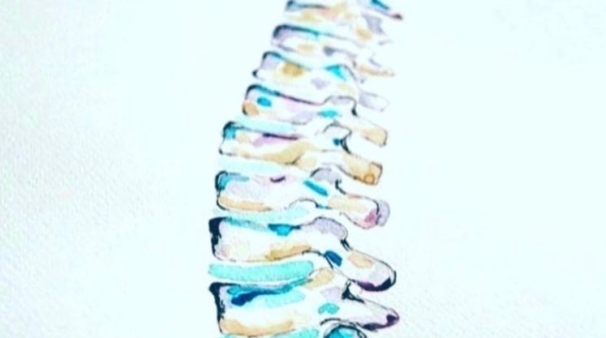 Your back has two main purposes: it allows you to stand, supporting your arms and legs; and it protects your spinal cord which communicates messages between your brain and the rest of your body. The health of your spine can have an impact on your overall well- being. There are three curves in your spine: two forward curves (neck and lower back), and one backward curve (middle back). The curves of the spine distribute your weight. If the curves are too flat, your ligaments and muscles have to take the extra load and this may result in stress and strain. If the curves are too accentuated, your spine cannot distribute your body’s weight effectively which can also cause problems. Bed rest is recommended for back pain. Bed rest may worsen your back pain unless your pain is so severe you cannot move. Good posture and a properly aligned spine can help prevent back and neck pain. Applying heat is recommended for a sore back. Fact: Applying heat may make the inflammation of the joint and surrounding muscles and ligaments worse. Ice is the way to go for at least the first three days of acute pain. The disks of your spine contain water that keeps them cushiony so staying well hydrated with non-alcoholic beverages is good for your back health. Pain is the main indication that something is wrong. Fact: Your back may be in trouble and you may not feel it. Restricted movement or discomfort in your arms, legs and shoulders are also indications of spinal problems. Core exercises such as balance, pilates and gym ball are the best ways to strengthen your spine. If you experience back pain that lasts for more than a few days, make sure your consult a chiropractor for an assessment. Healthy spine and joint function boosts your energy and keeps you moving! Better yet – don’t wait for the pain! Have your spine and posture assessed today to prevent problems in the future!